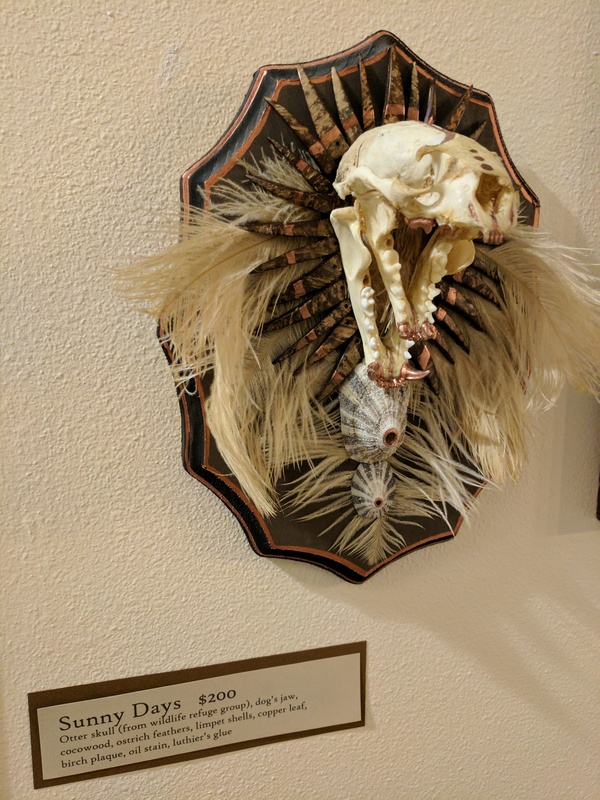 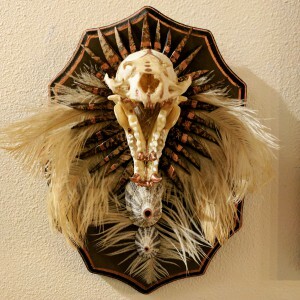 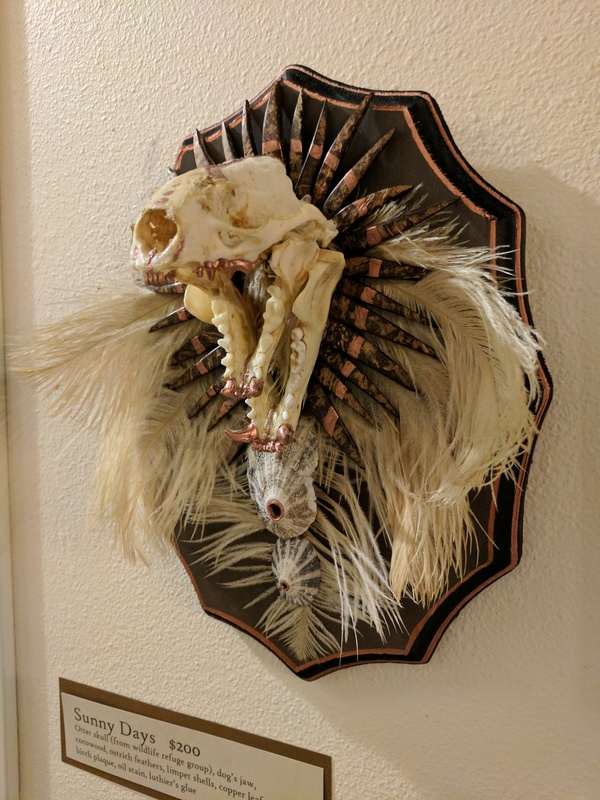 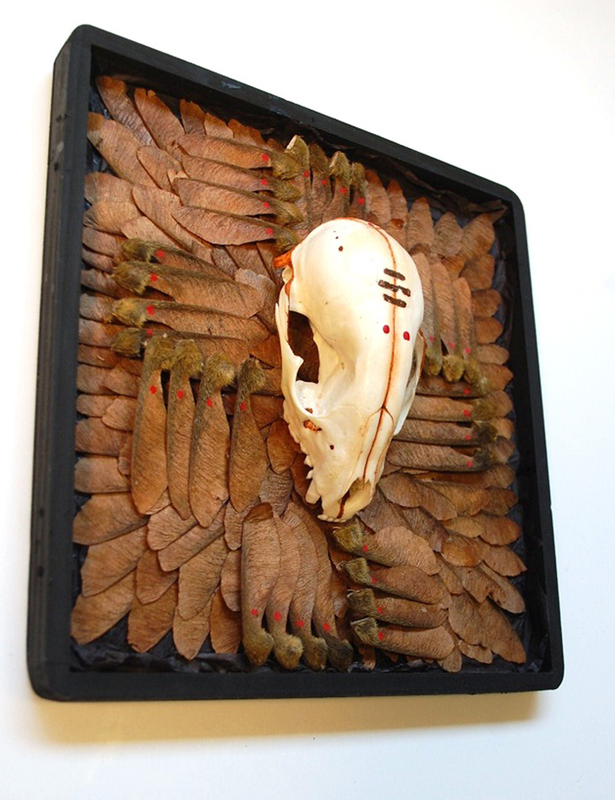 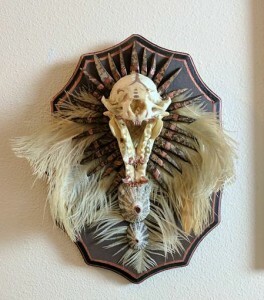 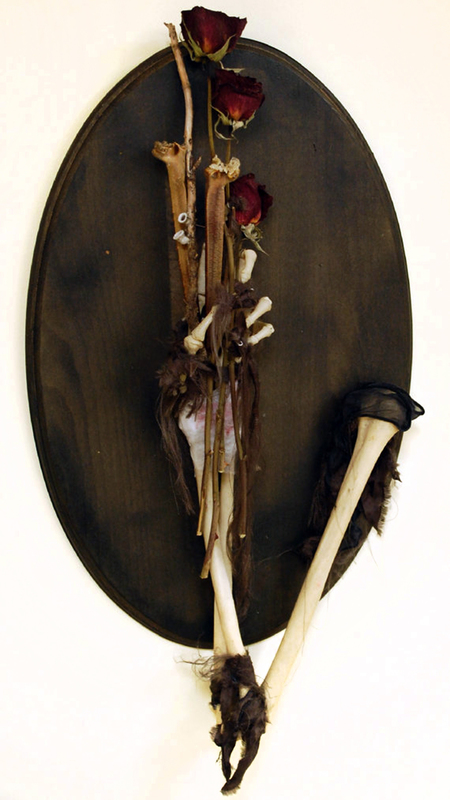 otter skull with fox mandible, Coco wood slivers, ostrich plumes, limpet shells, copper gilding, oil stain and birch plaque with luthier’s glue. 8*10″ plaque, stands out 6″ from base. shipping included in cost, US only.